The software on the diskette, Run the Gauntlet, is a sport game for the Commodore C64 / C128. 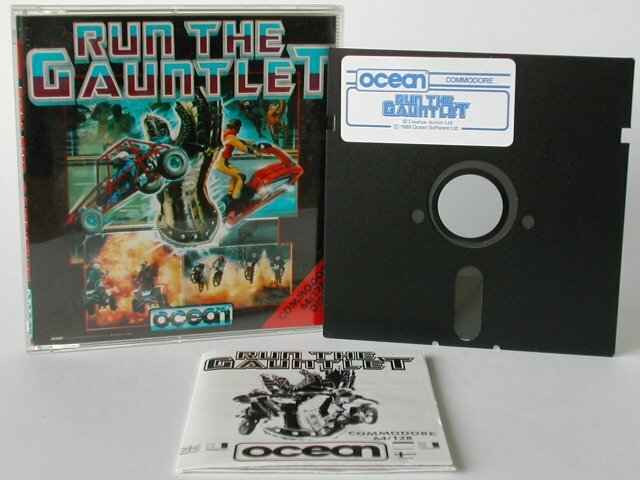 The game is made by Mark Rogers, Chris Kerry, Steve Kerry, Jonathan Dunn and was released by Ocean Software Ltd., Creative Action Ltd. on diskette in 1989. Ocean Software Ltd., Creative Action Ltd.